Myrrh essential oil has unique properties to heal wounds and cure skin problems. It is used in meditation, in relaxation, to treat hyperthyroidism and to treat many oral infections. 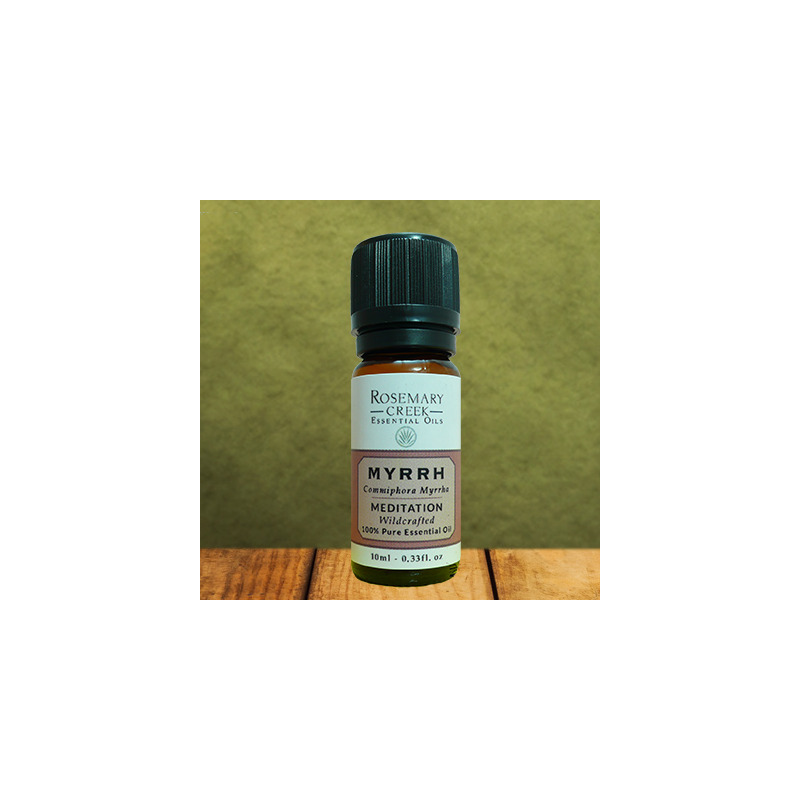 Myrrh essential oil is extracted from the resin of the Commiphora myrrha tree. That tree grows in the desert areas of Somalia, Ethiopia and the southern Arabian Peninsula, particularly in Yemen and Oman. Myrrh gum has been used for millennia. Egyptians used it to honor their gods, for the manufacture of cosmetics and as a first-aid remedy for soldiers. Myrrh essential oil is known for its analgesic, anti-infectious and antifungal properties. These properties make it particularly effective for treating many skin problems such as psoriasis and eczema. Added to a carrier oil, it has excellent results to help cure bedsores, skin ulcers, sunburns, abscesses, boils, wounds and any other skin problem. Myrrh essential oil is probably the most effective of the essential oils to help with wound healing. The presence in this essential oil of Furanoeudesma-1,3-diene, which is analgesic, and curzerene, which is anti-infectious, effectively helps even deep wounds and skin cracks to heal quickly and reduce infections. Although its chemical composition does not explain it, myrrh has been used for millennia for meditation and relaxation. Egyptians and Greeks used myrrh in their temples to meditate and honor their gods. 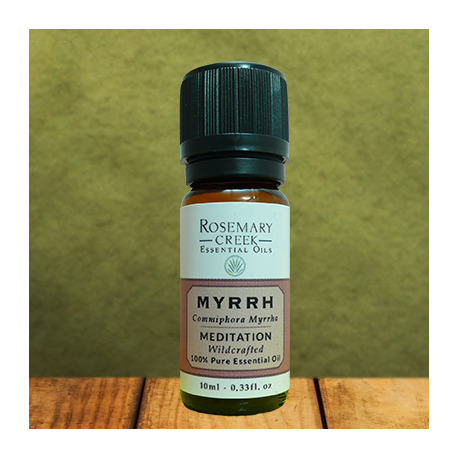 Thanks to its calming and relaxing effects, myrrh essential oil helps to reduce stress and nervousness. It can be diluted in a carrier oil to massage the spine and the solar plexus. It is also very effective in inhalation and olfaction. Hyperthyroidism is the term used to name thyroid dysfunction when it has an abnormally high production of hormones. Hypothyroidism, on the contrary, refers to a too low production of hormones. Myrrh essential oil helps to treat hyperthyroidism by regulating the thyroid when it is too active. 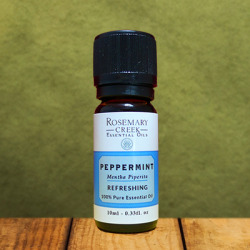 To reduce the production of hormones more efficiently, it is advisable to dilute a few drops of myrrh essential oil in a carrier oil and massage the throat. 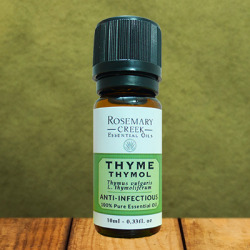 Thanks to its analgesic and anti-infectious properties, myrrh essential oil also has excellent results to relieve oral infections. In mouthwash or gargle, it calms the mouth problems, gingivitis, sore throat, stomatitis, canker sores, etc. The best way to use myrrh essential oil is in massage. For a massage, add 5 to 10 drops to a carrier oil, such as coconut oil or almond oil. Do not apply undiluted directly to the skin. It is possible to use myrrh essential oil in diffusion or in olfaction. However, since it is viscous and sticky, its use in diffusion can be a little complicated. It is not advisable to absorb this essential oil orally. The essential oil of myrrh mixes very well with mastic tree, lavender, marjoram, cumin, chamomile and palmarosa essential oils. Essential oils are concentrated and should be used with caution. Keep out of reach of children.Avoid contact with the eyes.As prolonged use of myrrh essential oil may cause skin irritation, it is recommended to never use undiluted. Do not use if pregnant, nursing, epileptic, hypothyroid, elderly and for children under 6 years of age. If suffering from any medical condition, consult a healthcare practitioner before using.